From the moment that you receive your unrestricted license it feels like you are the most experienced driver in the world capable of driving with your eyes closed! Or, at least, not focused on the road. You don’t have to look very far to see some sort of a message telling you to pay attention while you drive. Whether it’s at a bus-stop, part of a television commercial, or even a print ad in a newspaper or magazine, keeping your eyes on the road is a message which is hard to ignore. Despite this, more and more drivers take up the habit, letting their eyes wander from the road while driving. 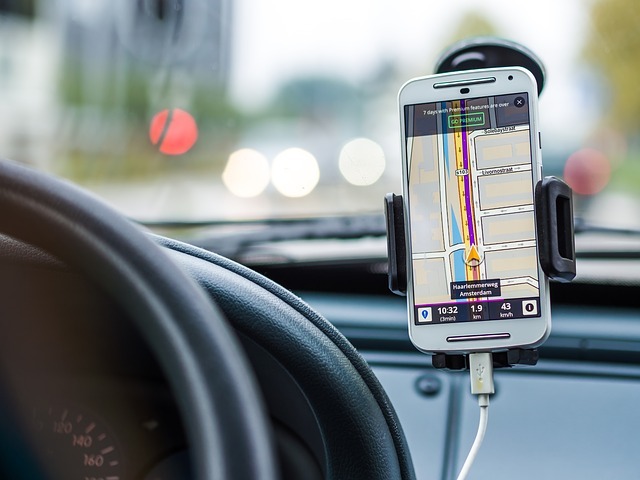 To help you stay safe on the road and prevent becoming a distracted driver, USA Synthetics has some information on how to avoid two of the most common driving distractions. You have no idea who it’s from you are entirely certain that if you don’t read and reply to the message immediately then the world will collapse. Instead of pulling over, you take a few seconds to wave your hand around the passenger seat to find your phone. Once you have it in your hand, you take your eyes off the road for ‘just a few seconds’ to read your message. Of course, now that you’ve read it you simply must reply, again, taking your eyes off the road for ‘just a few seconds’. Shortly after the beep, a loud voice emits from your phone to announce the name of the sender and the offer to hear the message read out loud. As you drive and pay attention to the conditions around you, your message is read to you with the option to reply. Again, whilst maintaining focus on the road you speak a quick reply which your phone sends to the recipient. Despite what you might think, even the most basic phones made in the past few years will be able to provide you with some level of voice activated assistance, including the commands above. Once you have finished creating your music playlists (more on this in the tip below), dive into your phone’s options and settings and look for any voice-activated services it offers. Click here to buy AMSOIL Signature Series 0W-20 Synthetic Motor Oil and keep your engine running at peak performance. To learn more about the benefits of a synthetic oil change in Oklahoma City, OK, speak with an expert at USA Synthetics by calling (405) 388-6170. As you get into your car and settle in you choose a song to play. Two or three songs later the music takes a turn and isn’t at all what you want to listen to. You don’t pull over to change it. Instead, you scratch around the controls of your car-radio or even slap your hand around for your phone. A few seconds of this and you have had enough, opting to instead glance away from the road to not only change the track but to even look through a list for better options! A side tip - this playlist also works well while you are showering! Of course, if you have any other regular errands then be sure to create a playlist with the right music for the task. With these at the ready you can easily push one button when you get into the car and not have to worry about taking your focus off the road to worry about the music. The next time that you prepare to drive, keep this article in mind and make sure you take steps to avoid becoming a distracted driver. If it is your dashboard lights constantly flashing which is the most distracting for you, be sure to keep your car in good shape with regular fluid checks and a synthetic oil change in Oklahoma City, OK. Check out the online store or speak with USA Synthetics at (405) 388-6170 to place an order for a high-quality AMSOIL synthetic oil and keep your engine working in peak condition.